Our screws come from Western Builders Supply located in Billings, Montana. Established in 1945 WBS is one of the largest distributors of screws in the U.S.A.. Now owned by Warren Buffet of Berkshire-Hathaway WBS continues to be a leader in the fastener industry. So what makes these screws superior to others? 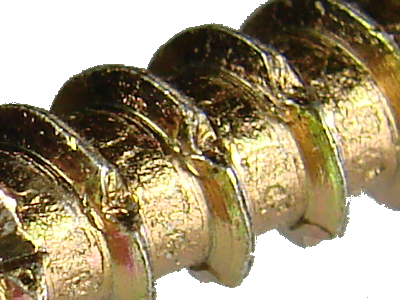 Listed below you will find just some of the features that make these screws the best screws that money can buy. Star Drive. 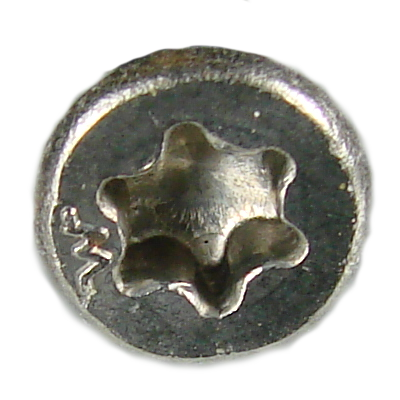 There have been many screw drive types developed over the years. From flat-head, to Phillips and even the infamous "square" drive. But nothing in our opinion beats a star drive for torque and reduced cam-out. 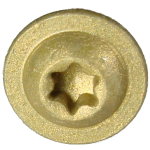 Combine the star drive with a genuine Torx bit and you have a fastener system that will drive straight and true. Type 17 Tip. The type 17 tip penetrates the surface like no other. It eliminates the need to pre-drill in most situations. 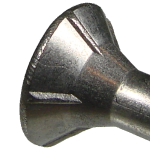 This screw tip virtually eliminates the "walking" associated with other types of screw tips. So why is it called "type 17"? and what happened to types 1-16? I have no idea. I only know that it works. And it works well. Under-Head Cutting Nibs. 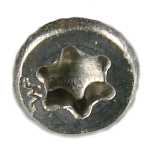 For screws meant to be flush with the surface our fasteners feature under-head cutting nibs. 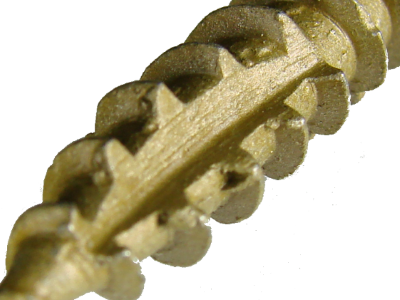 These seemingly insignificant protrusions on the under-side of the screw head help to remove unwanted surface material. This helps to ensure a flush fit when done. Modified Truss Head. Looking for maximum holding power? The modified truss, or washer-head, will do the trick. 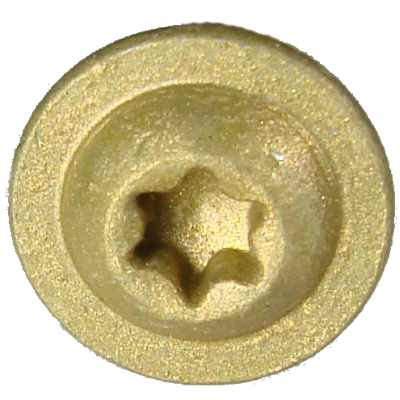 These types of screw heads have a lot of surface area. They eliminate the need to use a separate washer. Knurled Shank. 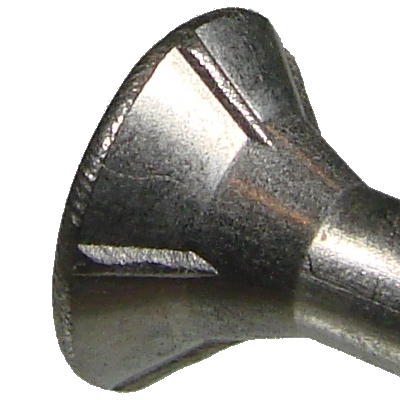 The knurled shank will actually ream a hole in the material being fastened. This makes driving the screw easier and less tiring. It also reduces drag on the shank and the driving tool as well. 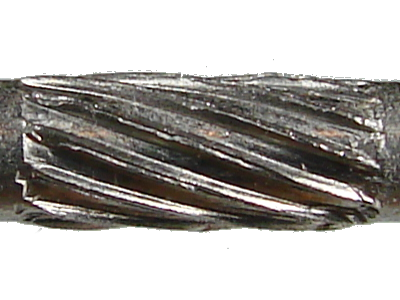 Spiral Notches.These small notches on the screw threads cut through fibrous materials. They reduce the torque needed to drive the screw without affecting holding power. ACQ Compatible. So what exactly is ACQ? ACQ is the abbreviation for a chemical called Alkaline Copper Quaternary. This is a water-based preservative that does not contain arsenic. What it does contain is a lot of copper. And copper can cause some fasteners to corrode. If you are working with treated wood always be sure to use fasteners that are labelled "ACQ compatible".